LAS VEGAS (Reuters) -- Mobileye wants to convince automakers that join its project to create crowd-sourced maps to share their data, creating a constantly updated, global digital map to guide self-driving cars, Chairman and Chief Technology Officer Amnon Shashua said. "We'll encourage them to cross-license maps and cooperate with each other," Shashua said, elaborating on the deal Wednesday on the sidelines of the Consumer Electronics Show. The driver-assistance software maker said earlier in the day that it had agreements with General Motors and Volkswagen and expected a third large automaker to join the project. The announcement sent Mobileye shares up sharply Wednesday despite the overall market declines. The U.S. Department of Transportation today is expected to announce an agreement with Mobileye related to the agency's "Smart City" project, which proposes to select a mid-sized city to test data systems to smooth traffic flows. The mapping venture with the automakers is part of Mobileye's strategy to be a bigger player in autonomous vehicle systems, challenging, among others Alphabet's Google. Mobileye and the automakers will work together to build digital maps that record landmarks in three dimensions, and use one-dimensional data to record road conditions. The map data would be gathered from cameras powered by Mobileye chips and software and installed on vehicles to enable forward collision warning and other safety features. The Mobileye mapping system is designed to use much less bandwidth in mobile Internet connections than more detailed maps used to guide Google's autonomous vehicles, Shashua said. For now, he said, the companies will have separate collections of mapping data generated from their own cars. 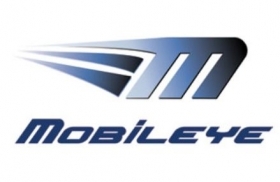 GM, Mobileye's largest customer, announced plans to work with Mobileye earlier this week, and said it was exploring the deployment of Mobileye's Road Experience Management mapping system in vehicles later this year. Volkswagen executive Herbert Diess, head of the German automaker's mass market Volkswagen brand, said Tuesday the automaker would be working with Mobileye on mapping. Shashua didn't name the potential third partner, but said it would be a large automaker, not Tesla Motors, which uses Mobileye vision systems in its cars. VW and the third automaker would likely start building their maps in 2018, he said.